The Athletic Training Department is responsible for providing athletic health care for all student-athletes at New Hampton School. The certified athletic trainers (ATCs) provide evaluations of athletic injuries to determine safe participation status, preventive taping and bracing, and rehabilitation to any injured athlete. ATCs are prepared to deal with injuries that occur throughout practices and contests. They also keep and maintain records on each individual athlete, their injuries, and treatments. Athletes who are not able to participate in practice or contests will be monitored while completing their rehabilitation program. The ATCs work with the athlete's treating doctor or physical therapist to carry out any prescribed rehabilitative therapy. Every New Hampton School athlete playing a contact sport will undergo a baseline neurocognitive ImPact Test prior to their season. Certified athletic trainers are health care providers who specialize in the prevention, assessment, treatment, and rehabilitation of injuries and illnesses that occur to athletes and the physically active. The athletic training profession has been recognized by the American Medical Association since 1980, and the national headquarters of the American Red Cross welcomes athletic trainers as members of the disaster health services team. Athletic trainers hold at least a bachelor’s degree from an accredited athletic training education program; 70 percent have graduate degrees as well. In addition, an independent national board–the Board of Certification, Inc.–certifies athletic trainers. 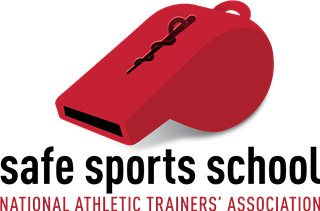 Athletic trainers must pass an examination and hold a bachelor’s degree to gain the credential of Athletic Trainer, Certified (ATC). To retain certification, ATC credential holders must obtain eighty hours of medically-related continuing education credits every three years and adhere to a code of ethics. The New Hampton Athletic Training Room is a 900-square-foot, multi-purpose facility, located in the Arts and Athletic Building. It is equipped with four treatment tables, a taping station, two whirlpools, e-stim ultrasound units, hot/cold hydrocollators, and an office. It is staffed by two full time, certified, and state licensed ATCs who are is assisted by student interns from Plymouth State University’s Graduate and Undergraduate Athletic Training Programs. The Headway Foundation is a 501(c)(3) non-profit organization that aims to promote a safer sports culture, provide resources for patients, and enhance concussion evaluation protocols and accessibility. Encourage brain injured teammates to seek help and offer support while they heal. Play the game within it's rules. Avoid illegal hits from behind, to the head and neck. The New Tough Pact encourages a new kind of toughness that puts brain-health first. 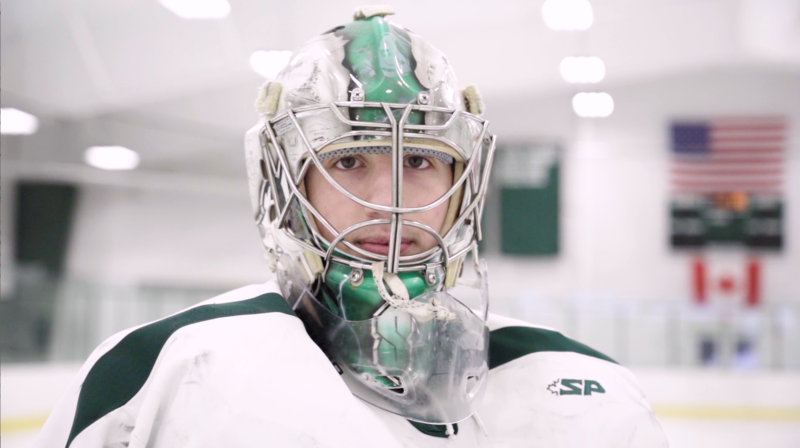 Please find New Hampton School's concussion protocol for the prevention, treatment, and management of sports-related concussions and head trauma injuries. The Athletic Training Room is located on the first floor of the Smith Gymnasium in the Arts and Athletic Building. An athletic trainer is on duty for all home games. Visiting teams are expected to supply their own cups/water bottles and towels. Water will be provided. Team rooms and shower facilities are available. Please provide your own supplies. If any special services are needed please call ahead. AED is available at all games. An orthopedic physician is present at all home varsity football games.